The human body has energetic channels through which energy flows. Ancient traditions had a deep intuitive understanding of this energetic body. The ancient healers from China, India, Japan, and Tibet identified energy channels, meridians or nadis, through which the vital energy flowed. Attaining balance in these energies is a must for optimum health. The vital force or chi flows along a sophisticated network of energy pathways that circuit the body and is composed of two kinds of forces: yin and yang. A disease is believed to be a blockage in the energy flow of these channels. Under this principle, several healing traditions are founded, such as acupuncture, acupressure, massage, and yoga. However, it took a while for these practices to be considered serious because of the lack of scientific evidence. But just recently, researchers proved that meridians exist. 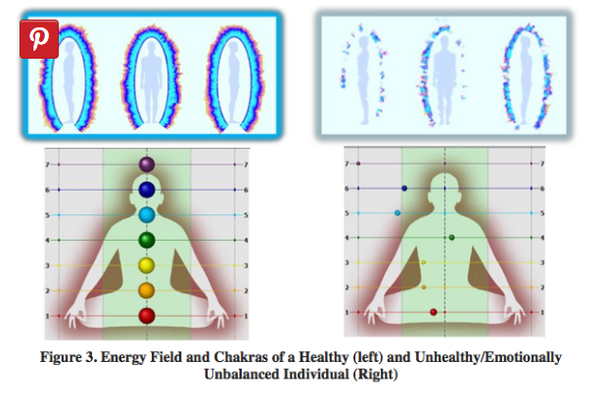 While having flesh and bone, our body is an energy field embedded into another energy field. It’s electromagnetic nature has been measured by science through the use of advanced technologies like EKG and MRI scanning machines for years now. Other studies demonstrate these energy pathways and points conduct electricity even without using the needles. This includes the massage technique of Shiatsu that stimulates the same energetic effects. In the same manner, Qigong, Tai Chi, and Yoga are also found to increase electrical conductance at acupoints. 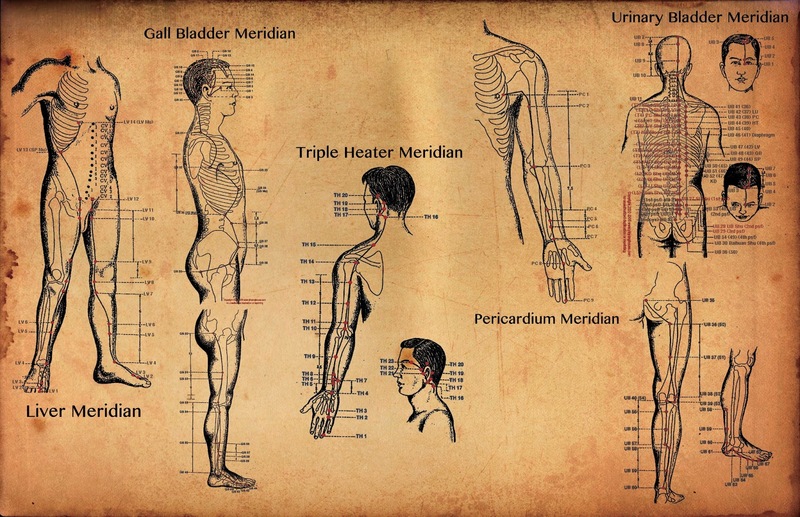 Despite all these, science never believed in the existence of meridians, not until now. Scientists at Seoul National University recently confirmed the existence of these meridians, which they call as the “primo-vascular system”. They said this system is a crucial part of the cardiovascular system. North Korean scientist Kim Bong-Han, claimed that he had found the meridians in the early 1960’s and showed that new tubular structures exist inside and outside of blood vessels, on the surface of blood and lymphatic vessels, and under the dermis. He said they’re traditional meridian lines known as Bonghan ducts or channels. The current Korean researchers believed that the primo-vascular system is the physical component of the Acupuncture Meridian System and is involved in channeling the flow of energy and information relayed by biophotons, which is the electromagnetic waves of light, and DNA. Further research was conducted by the Korean scientists studying oriental medicine with biophysical methods. In this research, they injected a special staining dye onto acupuncture points that could color the meridians and enabled them to see the thin lines. 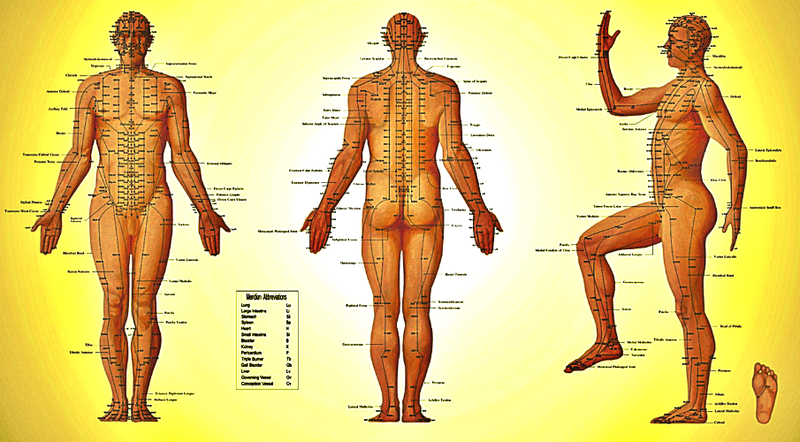 The color did not show up at non-acupuncture point sites where there were no meridians. The researchers discovered that the meridian lines were not confined to the skin, but on a concrete duct system through which liquid flows. This liquid then aggregates to form stem cells. Previously, scientists used a combination of imaging techniques and CT scans to observe concentrated points of microvascular structures that clearly correspond to the map of acupuncture points created by Chinese energy practitioners in ancient times. In a study published in the Journal of Electron Spectroscopy and Related Phenomena, researchers used contrast CT imaging with radiation on both non-acupuncture and acupuncture points. The CT scans revealed clear distinctions between the non-acupuncture point and acupuncture point anatomical structures. 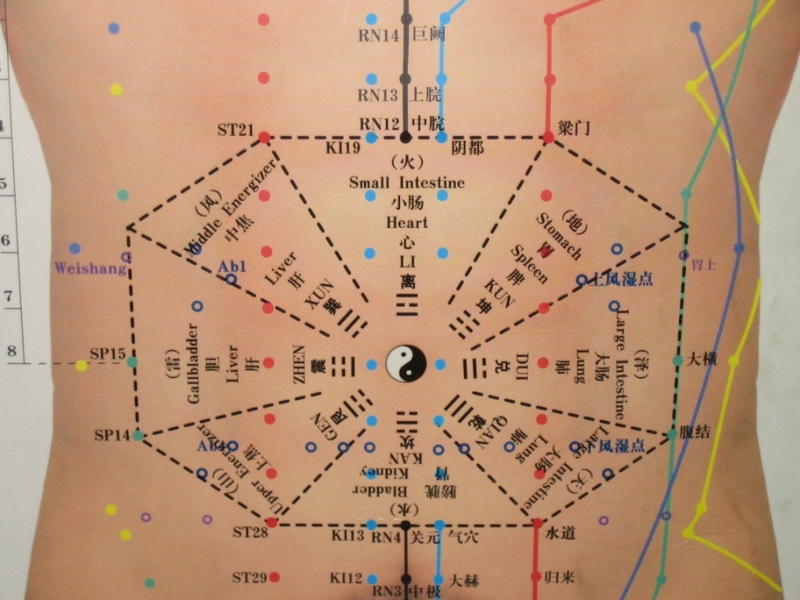 The meridian system consists of 12 paired meridians and 2 single mid meridians, 6 yang and 6 yin. The yang meridians run down the body while the yin meridians flow up the body. Each meridian is related to an element, most active at certain time of day or night, and is influenced by an element or season. 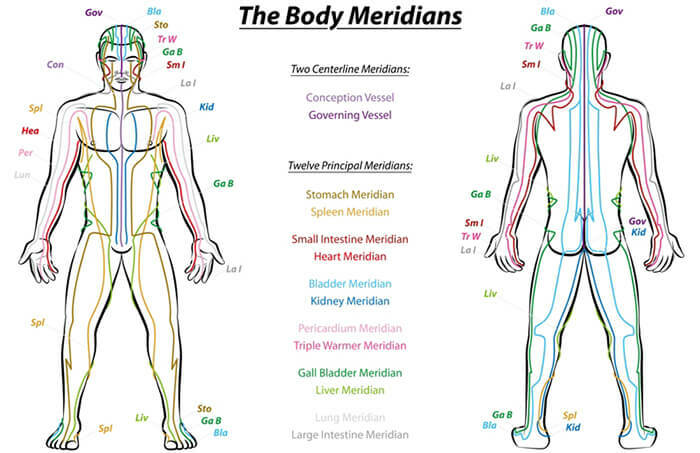 The meridians’ elemental structures and nature as vessels of life force show the intricate and profound connection of our body’s cellular level to the universe. We are intimately connected by the elements, energetic structure and flow of energy to all life at a cellular, physical level. The Earth is also said to have energetic pathways or ley lines akin to meridians. The human body thrives in balance. A balanced flow of energy is necessary to maintain good health as well as a balanced lifestyle. The Buddha points this as a “middle way” or moderation in all things. Harmony can be achieved in having a balance between the two forces of yin and yang energies that flow through the meridians, the body’s healing energy pathways. Illness arises when an imbalance comes up. Traditional Indian medicine expanded these meridians to include the nervous, circulatory, digestive, respiratory, and lymphatic systems. Nadis or channels can also be found in the subtle body that carry thoughts, feelings, and nerve impulses. Once these nadis are blocked, we lose the ability to feel and connect deeply with others, ourselves, and the environment. It’s through these subtle energy channels that yoga and meditation practices work. In traditional Indian medicine and spiritual science, the energies of the physical body, the subtle body, and the causal body flow through the nadis that are said to connect at special points of intensity known as nadichakras. The nadis that run along the spine are considered as the three most important nadis: ida, pingala, and sushumna. The Sushumna, the human body’s central channel of energy, runs from the base of the spine to the crown of the head. It carries the primal evolutionary force known as the kundalini energy. Kundalini lies dormant at the base of the spine and could be awakened through yoga and meditation. The activation of kundalini leads to states of higher consciousness. Overall health is achieved with the purification of these three nadis. Various Pranayama techniques help in keeping these nadi channels open. A lot of healing modalities based on the meridian system support in keeping a radiant health. An enhanced flow of energy through the body keeps us balanced, healthy, and in touch with our true selves. Acupuncture, which originated in ancient China, is a therapeutic modality used to treat ailments. It’s application grew slowly in the West because of the lack of scientific basis. But now that the existence of meridians is already backed by science, acupuncture and other healing modalities may become widespread in supporting more people to enjoy optimum health and wellbeing.